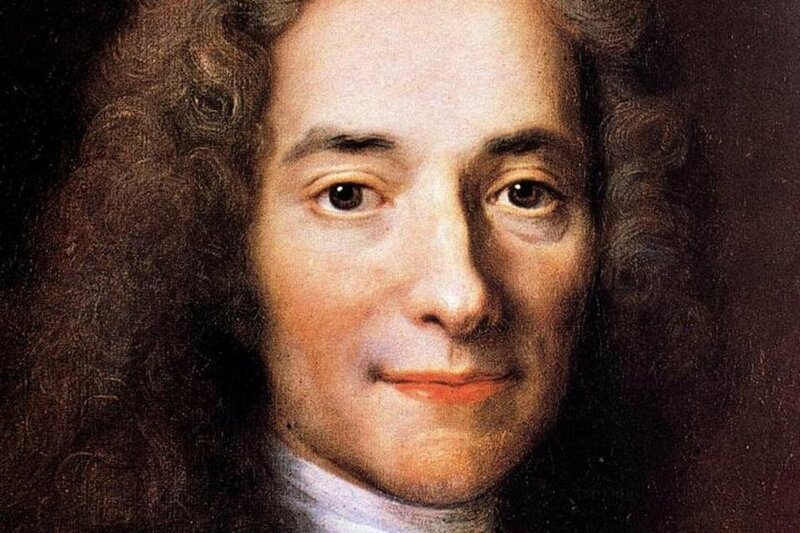 Voltaire, the clearest of Enlightenment thinkers wrote those words in his 1765 essay, "Questions sur les miracles." And they resonate as much now, 250 years later, as they did then. I rarely say much about myself on the site. But I'll just say today that I did my doctoral work on the French Revolution, spent a couple years living in Paris, and developed a deep affection for the city, as many others have. What happened tonight is heartbreaking, tragic and downright maddening. My thoughts are with all Parisians tonight, friends and strangers alike. Dan, thanks for expressing my feelings so well. My name is Khan and I’m not a terrorist. Prays for Paris. Thank you for posting this. Sharing. Thank you for sharing this. I will share it with others. Viva la France! Thank you for this. My college aged daughter lives in the 11th. Voltaire had foreseen the future and danger of those believing viz.in (religious…) absurdities to commit atrocities. If the problem of EDUCATING and TEACHING persons how to use thei LOGIC and equally share life with all humans,(disregarding race, color, belief, language) isn’t GLOBALLY solved,LEADERS will useng RELIGION to achieve their goals at all times.In the Maya tempels, young perfect boys were volunteering to be sacrificed on the altar, because they TRUSTED to RETURN to LIFE only five days later… – In November 1978 some 918 “educated Americans” committed mass suicide in French Guayana “Peoples Temple”… – The “modern assassin, does not only kill himself to be rewarded with many virgins in heaven” but he deems it “God’s will and blessings” to kill as many as possible! Buddhists tend to be an exception. They have no gods and are guided by a more or less pragmatic philosophy. And as to what Marx advised, his economic and social philosophy turned out to be more of a poison of the people than opium ever could be. What happened in Paris is horrible, sad, and totally barbaric. However there is no need any big name philosophers and thinkers to understand what happened. To me it simply human nature! You massacre my people and destroy my country, sooner or later I will get back and do harm to you and yours! Westerners seem to believe they can go to Iraq commit atrocities (thanks to Bush’s, Cheney, Rumsfeld, etc) and will be no consequences!?? are you kidding me. Netanyahu, murders innocent children and wipes out entire families and did you write something then. Just a couple of days ago Beirut was a blood bath, I do not see the same amount of outcry. Need to look at it globally before the west goes and bombards other people. I lived in Paris and have so much affection for the city and the people, and my deepest sympathy goes out to the people and to the families!!! I will not offer prayers for Paris because religion is at the centre of this, religion is the cause. Voltaire was correct. My thoughts and my best wishes as a human being naturally go to the people of Paris and of France in general. My condolences to the friends and families of the murdered and to those wounded. Of course I don’t applaud the suffering of innocent people. But I think TG is making a very important point here. Too many people are extremely upset when they hear about the suffering of Western caucasians and not really all that upset when they hear about the suffering of ‘brown’ people from Iraq or Lebanon. The quicker this kind of thinking is eliminated, the better. All human lives matter equally and all human suffering is equally reprehensible. How sad and unfortunate that the people of Paris and the world must once more suffer the barbarity of the uncaring. Also sad and unfortunate are those who believe that religion is the cause and not the excuse for this sort of cruel behaviour. this is not an anti religion post, as is your likening Voltaire to Marx. The plight of the Rohingya muslims, I think has put the status of the Buddhists as an exception in difficulties. It’s, oh, so easy to forget that the worst terrorist atrocity 9/11 occurred before Bush & co. started to take a proactive approach to problem areas in the Middle East. TG is making excuses for terrorist activities. Bringing the red herrings of all the other problems areas on the globe into this discussion is an attempt to disguise what is happening. Don’t pray for Paris – that won’t help. SUPPORT Paris and the French. This weekend members of the little methodist church (I’m not a member) around the corner from my house spent all day Saturday walking the streets collecting clothes for the refugees. They also have a homeless shelter every Saturday where volunteers start work at 5am in order to give the homeless people in the area a warm breakfast. In addition, they run a volunteer service which pairs young people up with older people in the community. If the elderly person needs some help with shopping, maintenance or just some company the younger person is able to offer that. Their ‘religion’ inspires them to do this…. TG has provided some EXPLANATIONS for terrorist activities; not EXCUSES. Do not take one example and generalize this to all Buddhists. Islam, Christianity, Judaism have always put people in difficult circumstances. However many Christian – wise ones gave up the Religion and God realising how absurd these concepts were. Look for example Voltaire himself, Spinoza etc. Only the weak in heart and frail in mind resort to the human fantasy of God and Religion. Invention of Religion and God by humans are the true cause of all human suffering. ‘Do we need this any more – No. Can we eliminate such concepts – unfortunately No. So what is the solution – read books that illuminate your mind. Can we make people to read and illuminate their minds – unfortunately No because look at all the religious leaders despite educated and majority of them doubt God and Religion they still preach for a living. God and Religion are like weeds. Once sown difficult to eliminate. See, there you go with the part about believing absurdities. What a terrible world this can be! He gave instructions how to keep the peace. What a wonderful world this will be! That’s because Iraq and Lebanon are IN A WAR. We were JUST as upset when Japan had that nuclear meltdown thing ages ago. To think we aren’t that upset by terrorism/disasters that happen in PEACE TIME, is racist. People DIE in war. That’s the nature of war. I’m not saying it’s good, but it’s EXPECTED. The US destroyed Japan and Germany in WW2. That was 70 years ago and we are allies. We massacred many of those erstwhile enemies and yet they have not sought to retaliate. How is that possible if your claims are correct? I understand your point Wayne, But TG is encouraging us to ignore the point made by Voltaire, which is so relevant now. He says it’s human nature for people to do what was done in Paris. It’s not human nature for people to strap bombs to themselves and blow themselves up. We can’t solve all the problems of the middle east at once, but it may be possible for an alliance of the G20 countries to defeat ISIL in Syria and then get Assad and the rebel groups to reach a negotiated agreement. Resurrecting the historical problems of the middle east is not going to help that process. Also, I should remind you that Paris is a very cosmopolitan city and people from many different countries (and religions) were shot down in that massacre – not just “western Caucasians”. While it’s true that Bush/Blair/etc unleashed the mad dogs of the death cult, the root of the poison is religion. Everyone is the enemy of the daesh vermin – Shia, Yazidi, Xtian – the list goes on. Religion poisons everything and Islam is the worst poison of all. A very true statement. One of my favourite philosophers. A poignant quote, but to declare that Voltaire was the “clearest of Enlightenment thinkers” is not just absurd, it’s insulting. Reading about religion, I have found lots of absurd quotes and teachings. But among the most absurd, is the gnuatheist meme “religion is the root of all evil”, which is even sillier than the PC response “religion had nothing to do with this”. And, with due respect to Voltaire and his great quote (which explains only a part of what is happening, yet an important one), I think there are much better sources to read about. Ps: Marx quote “religion is the opium of the people” is not what most gnu atheists think it is. It’s not a typical ditchkinite “hey, those religious guys are a bunch of idiot fundies”. It was more on the line of “the subhuman conditions under which workers live make it easier to believe in an afterworld”. BTW, did Voltaire predicted something about the violence brought by the revolutionaries (in the name of “reason”) some years after his death, or this is only about religious morons? Just to make it clear, I dont support the ancien regime. I think that’s missing the point. Just as if you arrived on your street to find your neighbours had been shot dead, it affects you more than if you hear in the background a news report that someone died in a country far away. It’s just natural human nature to be more affected by people closer to your circle – your circle being your family, then your friends, then your neighbours and people you know, then people in your country and then people all around the world. If everybody could grow their circle to include everyone in the world, that would be wonderful. But it might not be realistic – it can be painful and difficult enough with a circle extending to only the people you know. So this has nothing whatsoever to do with a kind of racism for others, but everything to do with concern for neighbours. Also, I wonder if you think that a man in Pakistan would be upset by the Paris murders compared to being upset about murders in his neighbouring village? What about you – do you spend literally every waking hour being upset about all the people who were murdered in that hour, somewhere in the world? Or do you reserve your emotions perhaps for problems closer to home? I hope you and TG will be honest and simply admit that it is a question of practicality, rather than malice, that motivates people to be more upset about their immediate neighbours than they are about people in say Iraq. Prior to 9/11, the US conducted the longest prolonged bombing campaign in history against Iraq–12 years of sustained bombing that destroyed much of the country’s infrastructure and caused untold death and suffering. 9/11 must be understood in context with this assault against the Islamist world. But Phil, look at the point made by Sam Harris: (my paraphrasing), the US has certainly caused untold suffering and problems around the world, and in a way this acts as a perfect experiment as to the effect of beliefs on behaviour. In Iraq, Afghanistan and other countries where the US and her allies have a long history if interference, there are large populations of Christians and other religions who have suffered just the same (or often worse) than the Muslim population. How many of them are blowing themselves up in an attempt to kill civilians? How many of them will, for example, enter a school full of children and cut the throats of the children and kill the teachers, and then declare that they are doing it in the name of their god? Their is only one religion that is active today that has specific ideas in it that lead people to be actually happy to kill themselves and others. In Tibet, where the population has suffered a brutal Chinese occupation, the worst atrocity is for the people to set themselves on fire. So yes, the US has done terrible things in Iraq and elsewhere. But that isn’t the prima facie motivation for Islamic violence – it is certainly a contributing factor, but to ignore the role that the belief in Islam plays is to ignore the reality of the situation. Your point about US action in Iraq, prior to 9/11, might have carried more weight if Saddam Hussein and the Iraqi regime hadn’t invaded Kuwait, fired Scud missiles into Israel, bombed Kurd villages with mustard gas and slaughtered the Marsh Arabs. Also your attempt to “understand” the 9/11 atrocities might have carried more weight if the Iraqi regime had done it, rather than Al-Kheida who had bombed one of the Twin Towers about ten years before 9/11. Finally, I would make the point that the US and its allies when acting in Iraq, have tried to minimise civilian casualties, while Islamic extremist terrorist activities have been designed to maximise civilian casualties. The slaughter in Paris and on the beach in Tunisia cannot be understood or excused by any civilised person. Re comment above about Buddhism being an exception to the destructiveness of other religions, I’m afraid the recent history of Sri Lanka shows that Buddhists are just as capable of atrocities as adherents of any other organized religion. As far as I know, atrocities have been committed in the name of all of the world’s major religions–not to mention the smaller Jim Jones cult-type operations.